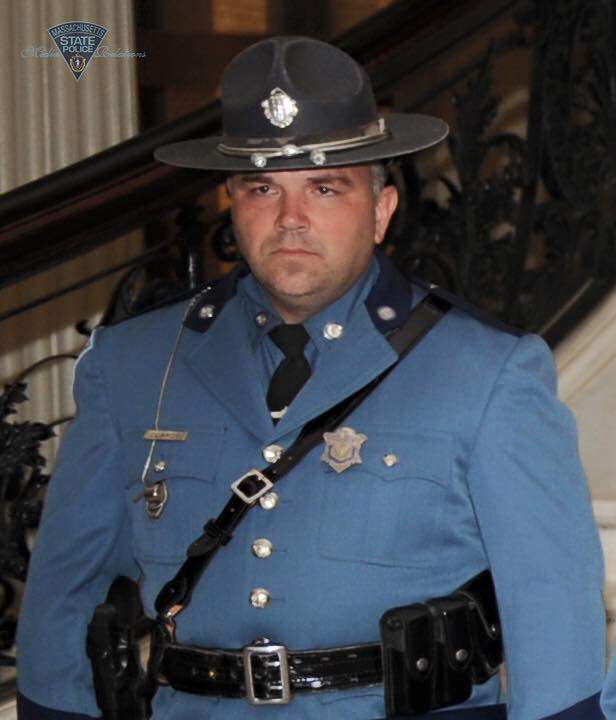 Trooper Thomas Clardy died from injuries he sustained in a vehicle collision on I-90, near mile marker 80 in Charlton, at approximately 12:00 pm. He was working an overtime assignment conducting accident reduction enforcement when he made a traffic stop of another vehicle. He had returned to his patrol car when another vehicle traveling at a high rate of speed crossed three travel lanes and struck him from behind. Trooper Clardy was transported to a local hospital where he died from his injuries. The driver of the vehicle who struck the patrol car was charged criminally with negligent operation of a motor vehicle and a marked lanes violation. 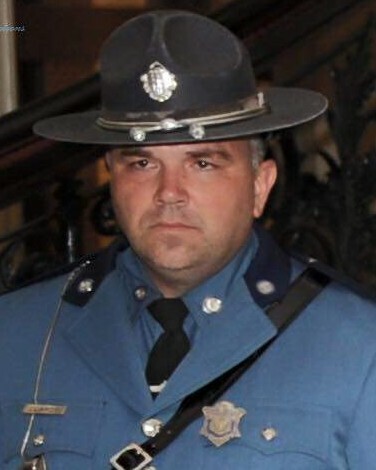 Trooper Clardy had served with the Massachusetts State Police for 10 years and was a veteran of both the United States Marine Corps and United States Army. He is survived by his wife and six children. Today, March 16, 2019, we take a moment to honor and remember Trooper Thomas L. Clardy on this his 3rd anniversary. May he continue to rest in peace knowing that his memory, sacrifice and family have not been forgotten.